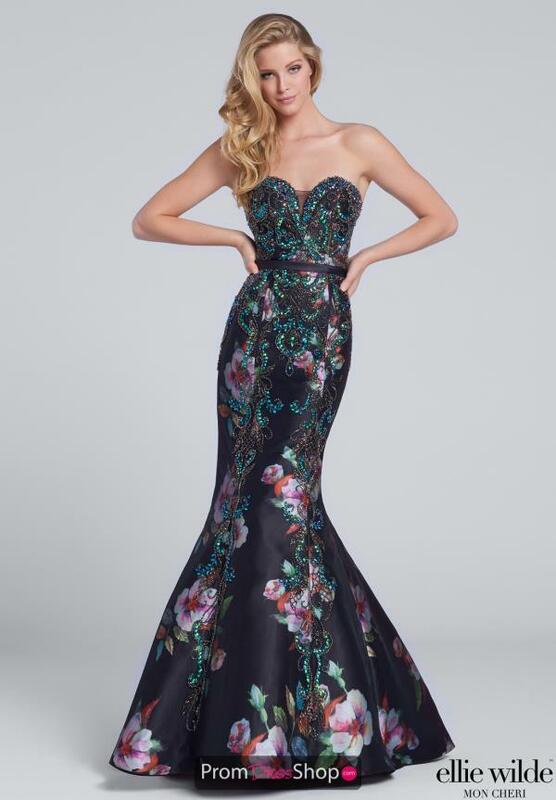 Make a bold fashion statement in this astonishing Ellie Wilde prom dress EW117149. This dramatic gown features a strapless sweetheart neckline with sheer inset and vivid embellishment that adds a pop of sparkle. This dynamic dress features a chic floral print adorn with shimmering appliques and gleaming stones. Striking mermaid silhouette will captivate all guest at prom.